ANNOUNCEMENT : The Kelly Republic is Dead. 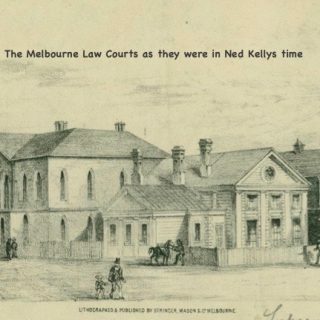 The suggestion that Ned Kelly was ‘planning a republic of north east Victoria’ has been examined and discussed several times on this blog, the first time being on Australia Day 2015 before the Blog was even a year old, and when I was still familiarizing myself with the detail of the Kelly story. What I noticed back then, exploring the republic idea for the first time was that despite being famous for his voluminous writings and his incessant speech-making to hostages, to Magistrates, Judges, prison guards, doctors, friends and enemies alike, Ned Kelly himself never once uttered even one single word about a republic of north east Victoria, ever. Not one word! If he had, it would have been remembered. It’s a big idea. But Ned Kelly wasn’t the only person who never said anything about a Kelly republic of north east Victoria. Every single other person involved in the Outbreak ALSO never said anything about a republic, not gang members, extended family members, friends and sympathisers, spies who infiltrated the gangs support network, magistrates, policemen, prison guards, Royal Commissioners, Commission witnssses, men, women, children….NOBODY, as far as its humanly possible to know, not one person in the entire nineteenth century EVER said a single word to anyone about a Kelly republic of north east Victoria.Not one word! So here we have a claim to have been privy to the ‘inner history’ of the gang, to have been informed by the man widely regarded to have been effectively the fifth member of the Gang, and by the “Kelly family’ itself. Kenneally said he was provided with information ‘in detail’ about the gang’s policy and programme – and what did Kenneally learn about a republic of north east Victoria? Not one single thing. He called his book “The COMPLETE Inner history…” and it contained not one word about a republic of north east Victoria. Nothing! Not one word! Ned Kellys brother Jim wrote to Kenneally and said “Through your book the people of Australia are in full possession of the truth” No mention of a republic. James Ryan, a cousin of Ned Kelly also wrote to Mr Kenneally and he said “Your book is indeed complete”. Again, no mention of a republic. Those long echoing decades of silence about a republic are a massive problem that modern Kelly Republic supporters needed to have explained before anything else if they wanted the Kelly republic to be taken seriously. But they never have. What that fifty years of silence suggests more than anything else is that the republic of north east Victoria is a modern-day invention. The only possible alternative explanation leaves the Kelly Republic on life support supplied by a giant conspiracy theory, an impossibly vast and perfectly impervious cone of silence. No such thing has ever existed in human history. The significance of the claims for a Kelly republic cannot be overstated – the republic has been made the absolutely essential core of the entire Outbreak, the justification and the inspiration for everything, and in particular the planned massacre at Glenrowan. The foremost of all Kelly authors, Ian Jones declared that “The Glenrowan campaign is inexplicable without the central carefully obscured fact of the republic”. At another place Jones described the Glenrowan Campaign as ‘madness’ unless it was part of a fight to establish some sort of new political order – he went so far as to say that if Glenrowan wasn’t ‘an act of war’, then it would be ‘simply mass murder’. And yet, if we are to believe proponents of the theory, at the time the establishment of a republic was being planned and carried out, nobody ever mentioned it to anyone . Not once. Ever! Without the republic, Glenrowan was just madness, mass murder, and pure criminality, and Ned Kelly can no longer be promoted as a revolutionary hero making a stand against injustice but a wannabe mass police killer, a mere criminal. Those are the alternatives offered not by me but by Ian Jones himself. Without the republic, Jones said Glenrowan was just a mad plan for mass murder. So what was it really: a mad plan for mass murder or an attempt at a republic of north-east Victoria? Well, I have ground-breaking news for everyone interested in the truth about the Kelly outbreak. 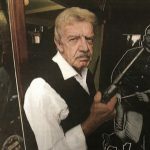 This week, just in time for the Glenrowan Siege Memorial Dinner, and for the announcement yesterday of a new movie that will ‘show you everything’ about Glenrowan, the mystery of the republic of north east Victoria has been fully and finally resolved. This week, the results of the latest long awaited and much anticipated research on the Republic has been released by Stuart Dawson, the leading Kelly academic from Monash University. In brief, the republic is dead. Dawson has already published the results of his enquiries into several other important Kelly controversies, the most important one being his work on the ‘Fitzpatrick incident’. He also examined the arguments about Kellys last words – they were not ‘such is life’ – and he showed that the eye injury sustained by George Metcalf at Glenrowan was not caused by a police bullet but by one accidentally fired by Ned Kelly before the siege had even started. Dawson’s latest publication is ‘Ned Kelly and the Myth of a Republic of North-Eastern Victoria”, and once again he has made it freely available as a PDF that can be downloaded HERE. This latest work however, is without doubt his most important, because it deals with the most important claim ever made about Kelly, what Ian Jones said was the “central…fact” about the siege at Glenrowan, that it was an attempt by Ned Kelly to establish a republic. If true, that would mean Kelly was some sort of political visionary, a leader and a martyred revolutionary hero. But if not, even Ian Jones concedes he must have been a mad criminal. What Dawson has done is look in detail at every shred of evidence, every argument and every claim about the Republic that has ever been made. This is not an argument based on cherry-picked evidence to suit a predetermined outcome but a thorough examination of every argument and every piece of evidence and every claim thats ever been made in support of the republic. It’s a remarkable achievement. There is not one claim or statement or mention by anyone relating to the republic that Dawson hasn’t looked at in microscopic detail. There is not one argument relating to the republic that Dawson hasn’t scrutinised deeply. He has traced the modern-day claims about a Kelly republic back to their roots, to their first ever mention. He has looked again at the claims about the conditions that were supposed to have been the cause of republican sentiment. He has looked at the claims about who the people were that were supposed to have supported this plan. He has looked at the claims there were secret meetings and records kept. He has looked at the claim that at Glenrowan there was a sympathiser army waiting to join the battle. He has looked at what arms they might have had. He has looked at the precise timeline of the events at the Glenrowan siege. He has looked at the famous claim that an actual Declaration was seen in a London museum. He has looked at the claim that this declaration was found in Ned Kellys shirt-pocket when he was captured. And more, much more. To say Dawson left no stone unturned would be an understatement. The stones haven’t just been turned over they’ve been weighed, measured, X-Rayed, photographed and catalogued, and the soil underneath them has been sieved. The Bibliography lists 85 Kelly related publications, and there are 536 footnotes! 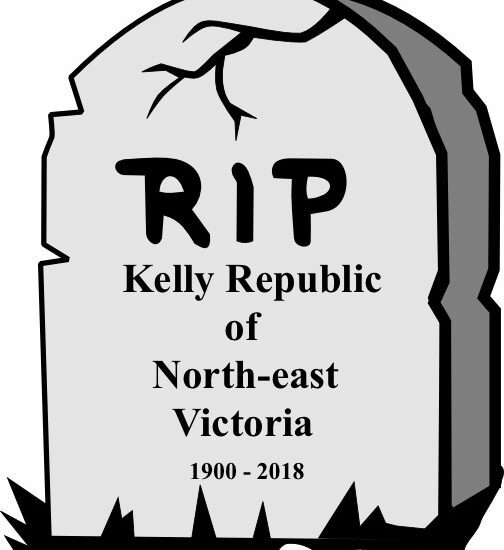 In the light of the exhaustive nature of his enquiry, Dawsons conclusions about the Kelly republic of North-east Victoria are both devastating and inescapable. Dawson has confirmed once and for all that the Kelly republic is indeed a 20th century invention , an idea that was never in the mind of Kelly himself or anyone else in his world. It will now no longer be sensible for anyone to continue to promote the idea, include it in books or films, or postulate that Ned Kelly was a revolutionary hero. From now on it will be as sensible to claim that ‘Ned Kelly was planning a republic of north-east Victoria’ as it would be to claim, as was once asserted and believed to probably be true, that in the middle of Australia there is a vast inland sea inhabited by creatures as yet unknown. Nobody advances the arguments for an inland sea anymore because they have been disproven : now it’s the same with the kelly republic. Given that the book has been made available for download for nothing, nobody who claims to be interested in the Kelly story has any excuse for not reading it. But be warned – though its only 65 pages long, the writing is so detailed and the arguments so condensed, its not a book that can be lightly skimmed over – it requires close and careful study. There will of course be people whose beliefs are not founded on, or affected by facts, logic and reason, and to maintain their dogma about a Republic they will have to retreat into blind faith, and probably declarations based on their family tradition and handed down oral history. This is the quality of ‘evidence’ that’s given us several Steve Harts and Dan Kellys that survived the siege, impossibly huge numbers of peoples great-grandfathers who happened to be hanging around the Euroa Bank when the Kelly Gang robbed it, even the furphy that John Monash held the reins of Ned Kellys horse when he was robbing the bank at Jerilderie and was rewarded with a shilling. Anyone who wants to claim the low quality evidence of oral history as evidence for the republic will first have to explain why their great-grandfathers knew something about the Gang that J.J.Kenneally, Tom Lloyd, James Ryan and even Jim Kelly never knew. They won’t be able to do it. They will be left with bare, baseless assertion. And as we know, anything asserted without evidence can be dismissed without evidence. From today, the Kelly story can no longer just be the same old Kelly story : Dawson has changed it radically and irrevocably. The Republic is dead – and according to Ian Jones this means Kellys Glenrowan was a mad plan for mass murder. End of story. Hi Dee, this is further to the end of the section of the republic myth book that deals with claims of secret republican meetings and minutes that finishes on page 29, and is about what Doug Morrissey was told about these stories. I have further independent corroboration. I was just contacted by Leo Kennedy, great grandson of Sergeant Michael Kennedy, who said: “As a child I heard Tom Lloyd, Junior (who was a former policeman and source of Jones' false republic surge) talk to my dad in Shepparton. He told my dad and me how he had 'fed those nuisances a whole lot of nonsense' deliberately 'to make them look stupid'. His motivation was he was frustrated with them because they came repeatedly, spent hours with him, then wrote – not what he said, but they wanted – and attributed it to him. He thought they would be made look ridiculous; but unfortunately it backfired to some extent; and the myth had a rebirth.” Leo is writing an article in which he will state this himself a bit later this year. 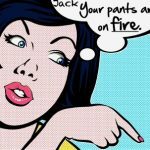 Silences from Jones, Molony, Fitzsimmons and other pro-Kelly writers, authors and bloggers – whose reputations are on the line – a real academic and editorial scandal. Disgusting. This seems a total game-changer. Great book Stuart. Great blog Dee. Great adjunct evidence from Leo Kennedy. There will be more future support. We hope that you receive self satisfaction from your efforts with your 'Ned Kelly and the Myth of a Republic of Victoria' publication. You have commented on such on this blog, and have been receiving feedback here already. If you don't mind, when you get the chance could you please help us with our question regarding pg 49 from your book. We couldn't see a footnote reference linked to that statement. We have read 'Police and Crown land files' that our State Authorities have kindly permitted us to access, and note from. We have been provided access to fantastic historical resources from State and Federally funded reference libraries and societies. We have read resources where Community members from general and leadership positions in locations where the family of James and Joseph Ryan had lived have written about or have been quoted (via newspapers etc.) on good actions and traits of Joseph Ryan, his father and some other family members, during the periods that they lived in the Beveridge area, the North East and some other locations. We are aware of a very good publication on the Ned Kelly story that has a photo (Bray's from Beechworth) of Joseph Ryan next to a poem that, via an anonymous source, claims to have been written by Joseph Ryan and forwarded to a local selector, at a date that we are unsure of. We are aware of some of the comments from historical Victoria police files about Joseph Ryan supporting the Kelly gang during their last days with food etc. If you could please forward to us, offline would be preferred, but not sure how we can organise that, your references for the Joseph Ryan involvement in regards to the above referenced statement from page 49 of your book, such would be most appreciated. I think Mark Perry is right, and the Ned Legend – crazy and befuddled as it has now become – will blunder on regardless. We know Joseph was one of the Greta Mob larrikins, as well as one of the gang’s closest sympathisers, For sympathisers identified as members of the Greta Mob, see Morrissey, “Ned Kelly’s sympathisers”, p. 296. For the aggressive, riotous, antisocial behaviour or the Greta Mob, see that article, and a range of Trove newspaper comments about the Greta Mob. There is an entry on the Greta Mob in Corfield’s Ned Kelly Encyclopaedia. Young joseph participated in the active harassment of citizens as part of his support for the Kelly gang, and was one of those sending threatening letters, such as the one sent to a local selector depicted in , McMenomy, Authentic History, 149. He did gaol time, and is pictured in his prison shirt in Corfield’s Encyclopaedia, p. 418. We know that the Ryans made good after the outbreak. What I am looking at in the book is the time and context of the alleged Kelly republic and those claimed by some to have been involved with it, not the time after it when many of those involved turned their lives around. Where I stand is with the Ashmead’s conclusion in his “The Thorns and the Briars”, where he said in 1922, “For forty years the Kellys have been trying to live down a bad name, and so did their many relatives in the North-East – the upright honest people; they are above reproach, and gladly would they forget the black past. Why not help them, and let the deeds of the past be buried with the dead?” Unfortunately a noisy bunch of unhistorical scribblers have made it their mission in life to try and justify the actions of a band of thieves, police killers and stick-up men, and keep them in the public eye as a good thing. the republic is the most stupid of these stupid claims, that cause ongoing division and hostility between many who would gladly like to forget. Don’t blame me for creating division; blame the Kelly nuts who try to keep the unjustifiable on a pedestal. As a friend said when I mentioned the siege dinner, what sort of person would want to celebrate people being held against their will? Hi B, T and T, this is in two parts due to blog word limits. Re if I am feeling self-satisfied about the book, well, not really; more like peeved about why such obvious Kelly republic baloney existed in the first place, including infesting my child’s school books with unhistorical rubbish. I’m more angry about that than satisfied at solving the issue, as it will probably take years to go away and it’s teaching a generation of kids utter garbage in the name of Australian history. Moving right along, you asked for more detail about the sentence on p. 49 of the republic debunking book, which mentioned “the depredations and terror the extended Kelly clan and their associates (including Joseph Ryan) inflicted on their fellow selectors and townspeople throughout the northeast from an early age”. I kind of expected you would ask about any mention of Joseph Ryan, although I had no idea what you might ask. That sentence is a summary point, which is why it has no footnote. The context is talking about the police and Crown Law files which Kenneally and Brown did not have access to, which documented the grief inflicted on NE residents by the Kelly gang and their associates. Young Joseph got a mention there as the paragraph is talking about James Ryan’s attempt to justify his then outlawed relatives‘ use of armed force against the police. His older brother Joseph was one of those aiding the Kelly gang back at that time. So it refers to the things already said about Joseph Ryan in the Republic myth book, along with anything else known in the VPRO Kelly papers. In the book on p. 21, Standish is quoted as saying that “all the men arrested are well known to have taken a more active part in aiding the Kellys, Standish, letter, 9 January 1879, VPRS 4969, Unit 1, Item 22, record 3, page 3, reverse. Joseph Ryan was one of those remanded as a sympathiser; arrested 4 February 1897, held for 7 weeks; released 25 Feb, McQuilton, “Kelly Outbreak”, table p. 114. Joseph was unquestionably one of those known by the police to have taken an active part if supporting the outlaws, and suffered the repeated weekly remanding cycle for 7 weeks. Hi Ashleigh. Good Evening. All well I trust. Yes, I believe the Kelly legend will prevail. I don't think Stuarts paper, regardless of how good I thought it was (and it did impress me in many ways), will change the course of Kelly being seen as a hero. We need our heroes in life. And in my opinion , it was not definitive enough to expunge that thought process. Yes Mark. But the republican myth has been all but been publicly destroyed by Stuart. He addressed the rockets and said no supporters ever materialised. As we know from Glenrowan, no army of sympathisers showed up. The rocket signals meant something, but what it was we may never know. Maybe the Chinese were celebrating the end of the Kellys. Hi Cam. Its FitzSIMONS. Not FitzSIMMONS. One M. Not 2. Cheers. I'm inclined to think Ned Kelly will live on as a cultural icon, in particular because of the Nolan paintings, but also because of the Last Stand in armour, which seems to be where the focus of attention has been for most of the last 140 years and which is indeed unique and unforgettable. The republic myth merges as a relatively recent invention and not just with zero historical evidence to support it but with vast wads of evidence against any such idea; plus a deliberately false post-1040s "oral history" which has been blown to pieces not just by Doug Morrissey's summary of what ex=policeman and no lover of larrikins Tom Patrick Lloyd said to him back when he talked to him when he was doing his PhD research and is written up in his "Lawless Life" book, but is as of last week directly corroborated by Leo Kennedy's explicit statement that TPL personally told him and his father was nonsense information given to make the pro-Kelly researchers look stupid. That kills the oral history claims totally beyond repair. So what do we have after the republic claim is dumped, which as Osborne saw should have happened before 1970? That is what needs reflection. I think it will boil down to the Last Stand, the 15 minute or so walk towards the Glenrowan Inn in armour at 7am (dawn) until capture. Because that's all there is. No republic, no heroic fair fight at Stringybark Creek, no body straps, no undue police persecution as Dee has been showing here for week after week a couple of months back, including articles that I have not seen mentioned anywhere else, no literate "blameless life" Condemned Cell letter which was actually a David Gaunson fabrication of August 1880, no justifiable smears against Fitzpatrick in the context of doing his duty between his appointment and when he was sent to NSW in February 1879 when things went pear-shaped, no more blaming the police for Metcalf's death when he was well-attested to have been shot in the eye by Ned Kelly before the Glenrowan siege and still kept prisoner, several reports in the VPRO files of Ned Kelly (the real one, not mistaken identities) sticking up travellers for money while on the run, and so on. There is nothing but the last stand which was without question gutsy, although whether it was to save his mates as some claim, or to rally them to re-attack the police, as other evidence suggests, has not been explored. 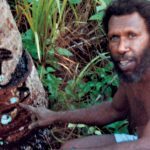 So why isn't Ben Hall, who stuck up towns more audaciously than Kelly, and robbed more money than Kelly, and was arguable more driven to crime against his will than Kelly, all of which are discussed in White's "Australian Bushrangers", the more renowned bushranger, as White thought he should be? So are we down to the last stand, then? In which case why can't we accept the other criminal history and be satisfied with thinking of Kelly as Peter Fitzsimons subtitled him, "Australia's most notorious legend"? Because I think that sums up nicely what he is. And that's what the tourist trail (if there is one) can only be about: the worst of the worst; the most notorious bushranger Australia produced. As the papers of the day wrote, "The destruction of the Kelly gang is a great blessing. It has spread throughout the country a sense of relief hardly expressible in words. Has society been ridded of a horde of hyenas, wolves, and tigers, thirsting for human blood [as, remember, the gang sought to achieve by police massacre at Glenrowan], the joy would scarcely have been greater…." (quoted in the republic myth book, p. ix). There needs to be a major full new book on Kelly that dumps the crap, but it won't be by me. I'm over it. You have a fantastic sense of humor, Stuart. It has been a long time since I thought about The Starland Vocal Band. Regarding the sky rockets, even if the gang had reinforcements/friends on standby on the lookout for the supposed "signal," it does not have to mean there was any political bent to the whole scheme, does it? I think its still sort of possible to strip out the unhistorical Republic nonsense and yet continue to admire Ned as a brave but misguided criminal. There you go Mark – a way forward for you! Sorry Stuart but we are not convinced from your response to our request for references that support your forthright summary point, or statement from page 49, as referred to above is enough to justify to us your remarks in that summary point about family ancestor Joseph Ryan in the terms that you published in your recent book. We have noted above that he sympathised with and supported, to a degree, relatives and gang members that were known outlaws under rare circumstances. The comments in your last paragraph about relatives, or persons involved in the Kelly saga wanting to move forward and not want to be associated with events and forgetting the past would be relevant to many persons. Is this about what is evidence based, and what isn’t??? We expect you would be annoyed at having to respond to this post, after your book being published and all. If you end up responding, pleased don’t be offended if we don’t, as we may not deem appropriate or necessary. Yeah it’s another lovely day! 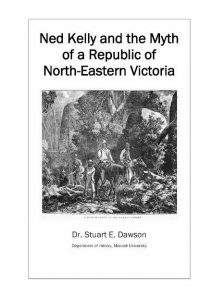 The ‘Ned Kelly and the Myth of a Republic of North Eastern Victoria’ book is probably a significant booklet to many, but the proposed North East of Victoria Republic movement from 1880 has never been of high priority to us. We would also like to note, once again, that our first preference for discussing this aspect with you would be offline. “the depredations and terror the extended Kelly clan and their associates (including Joseph Ryan) inflicted on their fellow selectors and towns people throughout the northeast from an early age”. We already know of and have read all the references that you provided. Corfield’s Encyclopedia and Mr Mc Menomy’s Authentic Illustrated History publications have some great detail. Fantastic for Ned Kelly enthusiasts. Experience has taught us to question statements in books published about Ned Kelly. For Joseph Ryan and his family, we have had such the likes of: his mother was a Quinn, his father was Timothy, he was Tom Lloyd junior’s cousin? the family lived at Glenrowan, the family lived at Avenel??. We have similar evidence-based reasons, as well as that noted above, for not being convinced that Mr Joseph Ryan wrote the “Order is Most Important”- poem., that keeps getting attributed to him., as per the references that you provided. Joseph Ryan is not a key person in the Ned Kelly story, so details for him are often wayward. *We like Superintendent Hare’s comments to the Royal Commission on 31.3.1881, page 65, note 1265 about how the Ned Kelly Sympathisers became to be assembled together. *In regards to the Ryan’s- “making good after the outbreak”- they were struggling farmers with an extending family from Beveridge days to all the farming years at Lake Rowan, where some hard work may have benefitted the family. Good old Joe chose a profession that he was passionate about, but in those days, did not pay as well as it possible does in current times. When looking at the period that you were focusing on in your above mentioned book, and the point you make about the aggressive harassment by sympathisers towards local selectors. We would like to reference Trove resources from Saturday 25.1.1879, and Wednesday 22.1.1879 that featured the newspaper items that noted the signed petitions (that we have discussed at this blog before) that came in from Joseph Ryan’s local community (and no doubt there were some who didn’t sign them)- Praying for the release of Joseph Ryan from remand on the grounds of his good character, and some had known him since his childhood in Beveridge. One of these petitions was instigated and forwarded to the Secretary of State by a local JP. Hi B.T. and T., the line about not creating division was not part of my response to your question, which is in the first 3 paragraphs of my reply, but a comment about Kelly enthusiasts in the fourth paragraph, about me supporting Ashmead's view of the outbreak and healing. Sorry for the confusion. If you look at the publication details page at the front of the book my uni email address is there, and I would be delighted to hear from you there as you have corresponded with me several times here in the past and have obviously done a considerable amount of archival research. Hi Sharon, that is a new angle that I have not seen anyone mention before. It could potentially have been a signal to someone in relation to the gang's much-talked about intention to rob a bank, with as you say nothing remotely connected to politics. In fact that is the only thing anyone has said about it then or since that makes sense. there is nothing anywhere to suggest a political angle in any of it, and much to connect it with expressed intentions to rob a bank down the line. As we don't have any actual evidence what the rockets signified, so it is still guesswork. Since there were no armed horsemen seen by anyone anywhere throughout the entire siege, perhaps it was a signal to one or another of the three or four men lurking about, who Sadlier thought might have been ready to join the gang in further exploits. Still, the rockets were about 3.30am, and the men Sadlier was talking about were those seen by Johnston nearly 12 hours later in the afternoon when he went to find straw to set fire to the Inn. What do you think? B.T. and T. Ryan you seem to be objecting to the inclusion of your ancestor Joseph with the arrested sympathisers and the Greta mob of larrikins. Are you arguing that his arrest was entirely without foundation? That he was not a sympathiser? Or are you wanting to get more detail on what exactly were his misdemeanours? I have got a rocket in my pocket…. WINK!!!!!!!!! Thank god for that. I thought you were pleased to see me. Republic book error! I have been alerted to a small error in the Republic myth book which has now been corrected. If you had downloaded a copy of the book before 5pm today, Sunday 1 July, please note that it was re-uploaded around 4pm today with a small text correction. The corrected version is what is on Bill's Iron-Icon site for download since about 4.30 this afternoon. The corrected document has the same file name, but has today's file save date. Apologies for the inconvenience, but if you have the earlier version please re-download it afresh and save it to the same file location. That will overwrite the old document with the corrected one. Stuart could you possibly let us know what the error was so we can decide if we want to go to all the hassle of downloading printing and rebinding our copies again? Acknowledging that it is not as black and white as some of us would like. Causes the need for "time out" on occasions. H Dee, I should have thought of that. The sentence on page 49, in the second paragraph, that caused problems for the Ryans was, "Both Clow and Kenneally were staunch Kelly partisans with access to the Royal Commission proceedings and newspapers, but not then to the police and Crown Law files that documented the depredations and terror the extended Kelly clan and their associates (including Joseph Ryan) inflicted on their fellow selectors and townspeople throughout the northeast from an early age." The sentence has been replaced with, "Both Clow and Kenneally were staunch Kelly partisans with access to the Royal Commission proceedings and newspapers, but not then to the police and Crown Law files that documented the depredations and terror that members of the extended Kelly clan and their associates inflicted on their fellow selectors and townspeople throughout the northeast from an early age." I re-checked Jones "Short Life" 2003) index for Joseph Ryan this afternoon, and Jones has him listed on p. xv as "a prominent sympathiser"; p. 179, he broke his leg "while larking in the prison yard with some of his mates"; p. 111, accused by Crown Prosecutor Chomley of perjury over the Fitzpatrick incident; p. 181, the possible author of a song lampooning a police informer; p. 279, one of the few allowed to visit Ned at his condemned cell after sentencing. That plus the other refs cited was the basis of the first sentence in its context of his being a tearaway without political motivations discussed in the first paragraph. So I'm still not sure exactly what the problem is, but it was easier to spend 2 hours removing it than weeks discussing it. For example, the Ryans note above that they have evidence that Joseph Ryan did not write the "Order is Most Important" poem that keeps being attributed to him. I can't spend time going into that sort of investigation of what they note is not a key person in the Kelly story, when I am only looking at the republic issue and the important evidence from James Ryan's letter in Kenneally that bears on that. The generalised point remains valid; I hope removing the direct reference to Joseph solves that problem which, as I say, has been drawn from the Kelly books, of which the Ryans have also seen – from a different angle – that experience leads one to question statements in books published about Ned Kelly. By the way, I had a nice email today from another descendant who I will not name to anyone, from a Kelly-years sympathiser family thanking me for the book and saying that they had never believed the republic claims. If you print the new sentence in 11 point calibri with justified text, with a left margin of 3.17cm and a right margin of 2.54cm, it will print out so you can cut it out and stick it over the top. "Kelly gave no trouble to the warders. He spent hours conversing with them … As the time for the execution approached, friends and relatives of the Kellys, Harts, and Byrnes swarmed into Melbourne from the north-west and formed the leaven for a threatened rising of thousands of city sympathisers. There were daily demonstrations outside the Melbourne Gaol. … A warder informed Kelly of what was going on outside. … With sundry oaths, Kelly also remarked, "The drunken cows! If some of them had been where they were sent on that night at Glenrowan, that schoolmaster Curnow would have been knocked on the head, and the 'peelers' would have got to the township when we were well away.' From first to last Kelly refused to discuss his armour or its maker." "As a soldier [Kelly] must have inevitably have become noted had he ever had the chance. It is of such stuff that Australia's future Bonaparte will be fashioned, and, when it is remembered that there are those who describe Napoleon as the greatest criminal in history, the suggestion is not so absurd as at first sight it may seem. For Ned Kelly was not merely the leader of his three immediate associates. He was the leader of a wide district of sympathisers, without whom he certainly could not have waged his three years' war against the combined police forces of Victoria and New South Wales. These sympathisers were feared even when he lay in prison. They survive even to this day." Hi B.T. and T., a possible misunderstanding there – please re-download the book from Bill's Iron-Icon site as the issue you raised has been removed from page 49 this afternoon, and the book replaced and re-uploaded without it. Hi George, the two passages you quoted are actually from the same article, in the Truth (Brisbane), 7 March 1909, 12, which is probably about as reliable as the old Melbourne Truth was in the 1970s. It is headed “Murders I have met, No. 8” by Warder X, and appears to be cobbled together by someone mixing sensationalist news reports from Kelly’s day with claims to have inside knowledge of the murder of the week’s innermost thoughts by virtue of being a gaoler. Not exactly the sort of person Ned was likely to share his innermost thoughts with. I especially like the line that “he served a bushranging apprenticeship under the bold, but childishly conceited, Power”. We learn that “Power always maintained that Kelly was a coward. He told me so himself years after his pupil was hanged.” So when was this guy ever in charge of Ned Kelly? He relies on quoting old newspaper reports for his discussion of Ned’s execution. The lengthy tale about Stringybark Creek, which the author claims was told to him in person by Ned Kelly, is in fact taken verbatim from bits of the Jerilderie letter, most likely from the synopsis published back in Ned’s day I think in the Herald. Warder X, quite possibly an ancestor of Mulder from the X-Files, says that Ned “was the leader of a wide district of sympathisers, without whom he certainly could not have waged his three years' war against the combined police forces of Victoria and New South Wales.” A three year’s war in the two year Kelly outbreak? Seriously? The guy can’t even count. This article is not historical evidence of “a wide district of sympathisers”. It is pure drivel in a sensationalist newspaper, on a par with Borlase’s notoriously awful Kelly book, which is much better reading. Also if we were to completely dismiss any account of Ned based on some falsehoods, intentional or not, then stuff like Hare's "Last of the Bushrangers" would have to go too, right? Haha, thanks for your assessment, Stuart. I did notice a lot of the article was quoted or paraphrased from older sources, and the three year claim is definitely off. But the descriptions of Kelly in his cell seem too specific, ie talking to the warders about boxing (think of the boxing Ned photo); learning of, and then identifying with, agnosticism (McIntyre was also of the view that Ned was "apathetic" about religion); refusing to talk about the armour; the quotes about the "sympathisers" etc. It's almost like these parts were also taken from another older source, and then mixed with the others. You can't post comments on that hate site without disclosing who you are to those snoopers. It's a closed shop. They can post here without impediment. The blurb in part says, "This his second book in a trilogy of historical works dealing with Ned’s life and times, shines a much needed light on the bushranger’s pioneer community. The lives of selectors, squatters, and stock thieves are examined revealing a complex community, significantly different from the Kelly myth fiction of squatter tyranny, police oppression and selector poverty and despair. Morrissey’s book holds the key to understanding the Kelly Outbreak, Ned and his Sympathisers and the neglected ‘silent’ majority of respectable, law abiding residents. It reveals the collaborative fulcrum on which community life turned, based on cooperation not conflict. Settling the land is discussed as a successful pioneering endeavor rather than the usual depressing tale of woe. Cultural beliefs, shared values, community goals and how people conducted and expressed themselves in their daily lives, are at the center of this groundbreaking book. 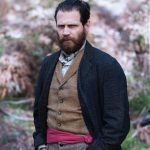 Those writing about the bushranger’s life and times from now on, will need to reference Morrissey’s evidence based research or their writings will not be taken seriously." Stuart Dawson’s carefully referenced work (which he has made available free of charge) has demolished the myth of the republic. And in doing this he has also demolished much of the carefully constructed fiction that has for so long been passed off as fact. Ned’s meeting with the phantom sympathiser army is an example, with Stuart’s carefully constructed timeline and reference to first-hand accounts by Constable Arthur, combined with our knowledge of Ned’s wounds and the fact that he was encased in 97 pounds of armour, putting the lie to that. I was interested to see in this week’s Border Mail that Ian Jones is quoted as having queried Stuart’s motivations for publishing his book, saying he thinks it’s something more than (just) a dedicated search for historical truth. 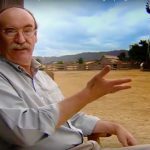 He is probably right – it seems to me that Stuart’s motivation was a desire to debunk the past 50 years of historical untruths and made-up fantasy, by countering it with historical truth obtained through exhaustive research. I wonder what Ian’s motivation was for publishing his book? On a further note about Jones’s purported comments, I love it where he says in relation to the republic that “they have to say it doesn’t exist because obviously they are so bright, if it did exist, they would know about it”. This is the kind of comment he uses to neutralise an opponent by turning the argument against them. The reality of course is that you could turn such a proposition around to say that a Declaration of the Republic must exist because if it didn’t Ian Jones would know about it! On a final note, I believe selector hardship and anti-British sentiments played a part in the support for the Kellys. But this is quite different to saying there was support for a Republic of North East Victoria. Ian Jones (page 250, A Short Life) says jack Lloyd set off the rockets. The book's Notes state that Tom Lloyd Jr told him this (interview 10.5.1964). I haven't checked, but I imagine this was mentioned in Ian Jones's paper presented at the 1967 Wangaratta symposium? Hi Peter, thanks for your kind comments. Kaboom! We have to be a bit lenient as the news article says that Jones commented without having first seen my book. (Although I didn't appreciate his uncalled-for sarcasm there, especially in those circumstances. He's off the Christmas list.) It would have been more sensible to decline to comment on it until he had read it, as he repeated in strong terms what John Harber Phillips claimed years ago was "hard evidence of a republic", which the book explodes as no evidence at all, just self-admittedly hazy, unclear and uncertain recollections from Radic. Such is life. I agree 100 percent that there is no intrinsic evidence in any selector grumblings about pommy b*rds that magically links with alleged republican sentiments. I drew very heavily on Doug Morrissey's work for all my material about selector hardship and Irish-English colonial settler interaction, and that both tribes mostly happy to be seen as broadly British in those years. I am totally stoked that his long-awaited book is just out, as his PhD theses and some other articles I referenced tackled this head on, and I can't wait to see at the new book – which is obviously going to be a major revamp and update of his PhD as it has the same title – has to say about all this. My guess is that he will further corroborate the thoughts in his earlier work, as he has said similar things consistently over time. Hopefully it will turn up next week as I can't wait to check it out. Hi Peter, in the 1968 "Man and Myth" book edited by Colin Cave, of papers from the 1967 Wangaratta symposium, Jones says that unfortunately he can't name those who supplied him with his oral history information. It's in a footnote in his "New view of Ned Kelly" paper. I don't recall it saying there that Jack Lloyd set off the rockets; I think that is first claimed in the "Short Life" book. I'm not going to waste any time checking!!! Sounds like Doug's thesis to me. Maybe Stuart but mine might have been the second one! I'll read it and post a review unless someone else does it first and sends it to me for the Blog. Mark? 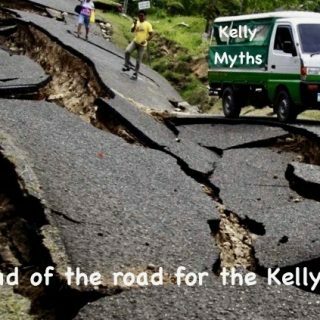 The Kelly myths are taking one hell of a battering at the moment . Even the planned Matthew Holmes Movie "Glenrowan" is going to upset a lot of them because they've decided that the Republic will not be mentioned because they've said theres no documentary evidence to support the idea, and they are not convinced about the 'oral' history. Well done Matt and Aidan! The new Morrissey book has the same title as his doctoral thesis. I already have a copy of that. The Head Gnome at the nearly moribund hate site falsely claimed he had bought an electronic copy (it was never available as a file at Monash Uni library). People who have it, like me, laboriously photocopied every page. The Head Gnome is giving you a pasting as usual Dee, but there is very little activity there. No exposures about the book he hates. Gruesome. Good Morning Stuart. (and Dee.) Looking forward to getting Dougs second book. Order also placed. His first was interesting but I suspect this one will be lot meatier. Whilst I am here, I agree that the republic case isn't looking good for the group of people that basically grew up with the idea. (and that includes me..) Your work is very very good. It's more a case of the way you sling what I perceive to be arrogance around that rubs people the wrong way. I explained this to Dee also. Not the information itself. Its the way it is said. Apart from that, all good. You making the book free for all was a great gesture and it's appreciated. Dee suggested I had fallen off the fence. Not so. I still wish to learn all about the Kelly story from all view points. Hi Stuart. Good Morning. Would your time really be "wasted by checking"? Really? This sounds very dismissive. Does anyone know what happened at the Glenrowan Siege Dinner after all the noise and publicity? I can't find any announcements about their fundraising or any comments online by anyone who went about how good it was. Did it even happen or was it cancelled? Hi Mark, it was a shared joke with Peter, that we both know already that any such claim is shall we say questionable, as it can only have come from ex-policeman Tom Lloyd's sometimes creative oral history. Hence the millions of exclamation marks. Of course I would check if there was any historical source to check! You're right Hamish. Nothing on Google. Mark you spend too much time at the hate site. Your post about Stuart was just posturing, and far more arrogant than anything I have seen him write. Your comments are sometimes exceedingly unhelpful. academics who have written or said something about Ned Kelly at some point, the sort of arrogant silence the academy is famous for. F'em, I say. I enjoy your comments here, and have no problems with being told off by anyone when I deserve it! Just as how one's man's terrorist is another man's freedom fighter, so it is with one man's perceived arrogance being another man's self-assured confidence. As Stuart has noted, his keen, yet off beat, sense of humor that he mostly tries to keep behind the scenes sometimes seeps through. Much of the wit and humor that Brian Stevenson and I and that Stuart and I (and I am sure that they and certain others) engage in would go so far over certain people's heads that they would not get it at all or would take it the wrong way like they have done so many other things. So we have to keep a tight lid on it and keep it on the down low as much as possible, though much of it reaches Pythonian heights! (yes, the air is rarefied up here!) Oh, gosh, now I am being arrogant. Or am I just being confidently self-assured? Winks and smiles. Regarding the Republic, if the Declaration itself were to surface and would be authenticated (if that is possible, witness the problems trying to authenticate photos), then I guess some of us who never believed in it as presented by Ian Jones would have to wipe the egg off of our faces, have a little chuckle, and then go off to find other dragons that need slaying or other windmills to tilt at. Until that day arrives, we should all strive to keep our words sweet just in case we have to eat them later. Thanks for the feedback Stuart. Appreciated. Hi Hamish. There were pics posted on a site. High Country food co? Or something like that. It did go ahead. Grantlee Kieza, author of "Mrs Kelly" spoke at the event. 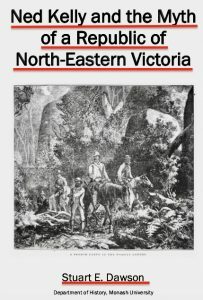 There is one erratum that was fixed in my free PDF book, “Ned Kelly and the Myth of a Republic of North–Eastern Victoria” as of last Sunday afternoon, 1 July. On page 49, second paragraph, the original sentence about Clow and Kenneally has been replaced with, "Both Clow and Kenneally were staunch Kelly partisans with access to the Royal Commission proceedings and newspapers, but not then to the police and Crown Law files that documented the depredations and terror that members of the extended Kelly clan and their associates inflicted on their fellow selectors and townspeople throughout the northeast from an early age." The change affects only that one double-sided page 49-50. It makes the point of my text clearer and removes the distracting mention of the minor player Joseph Ryan. The book is now finished and finalised. If you have not printed out the book from the previous PDF, I have attached the replacement PDF for your convenience. If you save that to the same file location, it will simply overwrite the first version. If you have printed it out but not bound it up, you can print the double-sided page 49-50, and replace that sheet only. The change does not affect the line spacing in any way. If you printed and bound the original copy in covers, the printout can easily be fixed with old-fashioned copy and paste: If you print the replacement sentence above in 11 point calibri with justified text, and with mirror margins (a left margin of 3.17cm and a right margin of 2.54cm), it will print out so you can cut it out and stick it directly over the top of the original sentence. I apologise for the inconvenience, but it is so much simpler to fix this than it ever would have been with a printed published book. Actually, I spend very little time these days on Fitzys site. Or on any of them for that matter. And if you had opened your eyes, you would have read that I was often at odds with their train of thought anyway. Sadly though, I am almost done. I get tired of seeing the bullying and arguing so I involve myself with private Kelly discussions in the main now and the next big things coming up like the Alive project. . These private group discussions are so much more civil. And interesting. And vibrant. So you may want to re-evaluate that stupid comment about me spending "too much time at the hate site". And you are probably unaware and ignorant of the fact that I really like Ian MacFarlanes Unmasked book. as well as Morisseys work. I am very interested in all viewpoints. How can anyone wanting to learn NOT be? Perhaps get to know the ins and outs regarding myself a bit more champ? I do find your comments very inane whilst on the subject though. Your post previously on this thread about "disclosing to the snoopers" went nowhere and was absolutely unhelpful and remedial. And yes, of course you need to disclose who you are on that FB site or any other. So whats the big deal? So disclose. Or do you lack the bravery? I have never criticized you "Mr T" so why you feel I need it from you is odd. Contact me privately if you really wish to discuss interesting points on Kelly with me. I look forward to a robust (but polite) conversation with you. I don't think you will do it but that seems to be the norm from the anonymous faction. Surprise me. Come at me brother. Wink. (0406)382492. Love Mark. Mark, you have a post at the hate site right now. I don't know what you do with your time, but I agree you sometimes stir them up a bit. I give you a 9.5 out of 10 for being cognitive. It's just that your comment about Stuart being arrogant riled me. He isn't. I think you might rather like him. As Mr T – the A Team's junk yard dog – I love exposing Fools. Not that you are one. Thank you for your phone number. I will eventually ring, but am distracted just now with another, unrelated project, calling on my first-hand knowledge of NT Aboriginal music. There are more experts than there once were. All this stuff about personalities and motivations is totally irrelevant to my articles and I am not here to be discussed on the internet. I have been up front about my motivation from the first time I ever said anything on this blog, which is that I was really crapped off with the utter nonsense written in my kids school social studies and history books about Ned Kelly which was obviously total garbage written by fwits. How can anyone expect kids to understand their own country's history when they are taught mindless rubbish at school! I fully sympathise with teachers who are under all sorts of pressure and have to prepare classes using resources on hand, that generally line up with the curriculum they are given. The curriculum is crap; bushrangers are a small pimple in Australia's history compared to the gold rushes etc, but it seems we have gone from teaching actual significant history to not much more than kiddy entertainment. Let's make Ned Kelly masks and read the Jerilderie letter! What an insult to our own country. Then all the books put out on the school reading lists are totally perverted idiocy that serve up the Jerilderie letter as though it's some kind of political masterpiece. This is just mindless horse sh*t. Practically all the many curriculum resources available to teachers are put together by people who have naturally turned to the books by those generally regarded as experts, practically all of whom follow the "bad Fitzpatrick/ good Republic/ bad police/ poor persecuted innocent Ned" sh*t popularised by a bunch of so-called experts who clearly can't count to ten. Any further questions about my motivation? OK, if we're going to teach bushrangers and Ned Kelly, let's do some actual documentary research and see what's going on first, before we start writing children's books and "text books" that undermine any remotely realistic review of the past. History teachers now have no excuse for not looking critically at a lot of those resources. They have a choice: stop teaching Ned Kelly at all, or stop teaching it until they or some educational resource producers bother to get their history right. I'm sick and tired of the mindless dumbing down of schoolkids by people who haven't got a clue what they're talking about. Again, I fully sympathise with the pressure teachers are under, but no-one has ever called this out before. People are cowed by the reputations of experts. That's why I got the put-down treatment in the Border Mail. It's not that journo in particular's fault; everyone else out there does the same thing. Well, now the excuses are over. As I said to the Border Mail, I'm not getting into to-and-fro comments because people need to read the book and evidence on its own terms and make up their own minds. And I think the conclusion is obvious. Then I look fwd to hearing from you in the coming days Anthony. Cheers. Thank you for the feedback. Dee is an afficianado of Aboriginal art. Perhaps you are kindred spirits? Hi Stuart. It isn't just history that is being dumbed down though. I despair for the coming of age of this generation. The wind whistles through their ears.. There are really exciting things going on in the world but you'd never know it at most schools. I'm guessing Shakespeare is off the curriculum because the people who write it are too stupid to read it or teach it. We did Macbeth and The Winter's Tale and had a great time with the old language. Only this year I discovered that there are actors who do the plays in Original Pronunciation. There's a couple on YouTube and they sound brilliant, a whole new world. When you think that the history, English and social studies curriculums are written by mostly elite academics you can see how far out of every day life these people are. Either they just think we're all stupid or they really are stupid. Like Alice said, "School's out". Hi Mark, Unfortunately I have to agree and wish it was otherwise. My kid had to do that horrible tedious Summer of the Seventeenth Doll in painful detail because it was a "great Australian play". The donkeys writing curriculum are still stuck in the 1970s. It was a boring dull dated tedious trial back then when we had to do it. It said nothing to us then and the clowns in charge now can't see why kids hate the crap schools feed them. 50 years of torturing school kids with what might have been confrontational when it was new but has meant nothing to anyone I have ever talked to. The clever country. They didn't even get 40 people to the Siege Dinner. It says 39 attendees! Police Magistrate got it ‘wright’!